1000s of books, children’s books, DVDs, CDs & more. 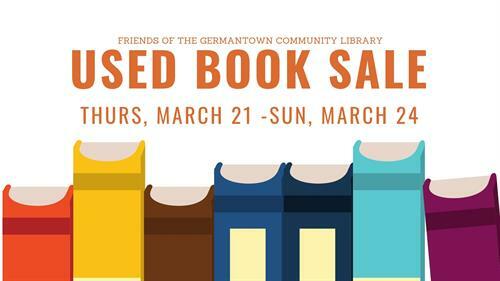 All proceeds benefit the Friends of the Germantown Community Library to fund future library technology and programs. For more information, see the Friends website www.germantownlibraryfriends.com/. The Friends of the Library meet the second Saturday of each month September - May at 9:00 a.m. Come join us!